These overgrown rodents are extraordinary engineers: Beavers alter their environment for protection and comfort like few other species in the entire world. The “busy beaver” is often synonymous with industriousness and is also the national animal of Canada. 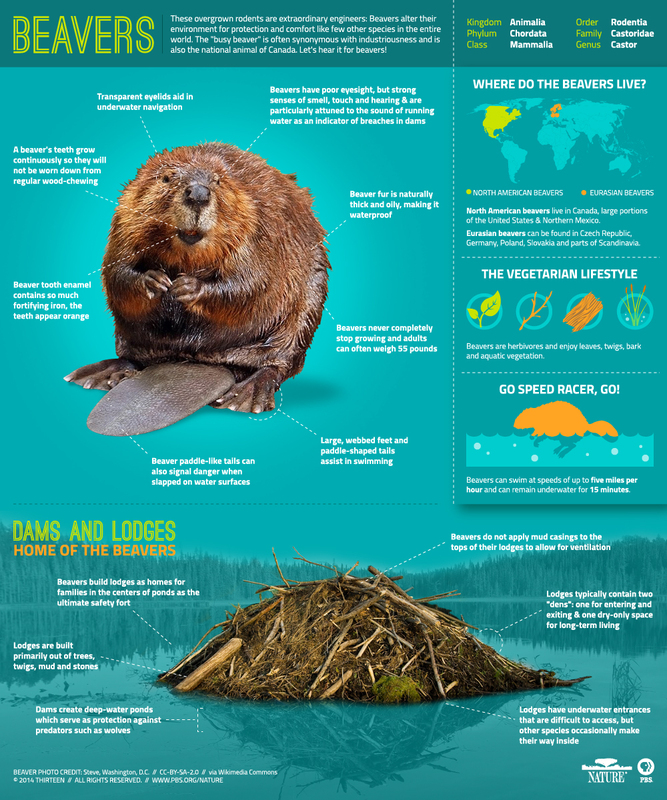 Beavers build lodges out of trees, twigs, mud and rocks as homes for families in the centers of dammed ponds as the ultimate safety fort. Lodges typically have underwater entrances and an opening for ventilation and act as highly-effective protection against would-be predators. Leave It to Beavers airs Wednesday, May 14 at 8 p.m. (ET) on PBS (check local listings).